Once again Youthbike has been and gone! Thanks to all who helped make the machines and if you didn't get the chance this year then next year will be here sooner than you think! This is the Pink Bike, I will not insult your intelligence as to why! The venerable Honda Melody has been transformed by a group of girls from the village college at Soham. The machine sports a fluorescent pink paint job, pink neons in the front trays, pink ribbon trim, pom poms and disco balls. As well as being a fun bike to create, the main theme of the Pink Bike is to raise the awareness of both women and men to the dangers of breast cancer. 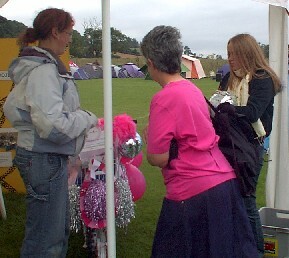 The girls raised £50 through the sale of breast cancer awareness badges on the day! 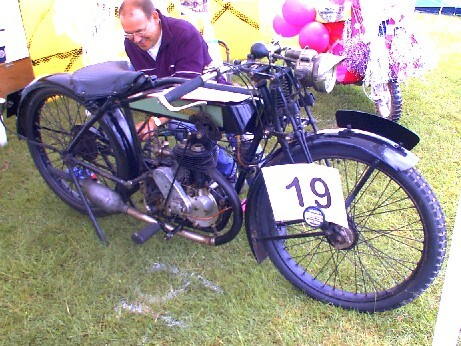 This is the Vintage Bike Project, it is a 1927 New Imperial 350cc motorcycle. The machine is part of an ongoing program to explore the history of the motorbike which has been funded by the Heritage Lottery Fund's Young Roots scheme. This machine is undergoing restoration work here at Gauntlet and will eventually be on permanent exhibition at the Ramsey Rural Life Museum. 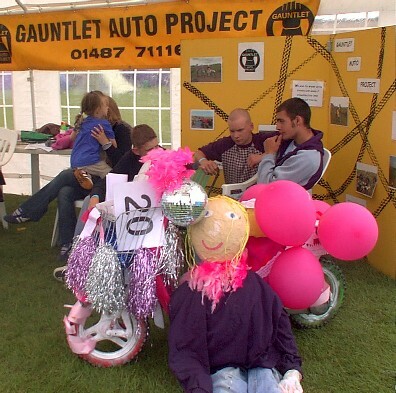 The YouthBike organisers invited us to bring the bike along and it was presented with an Organisers Choice award. 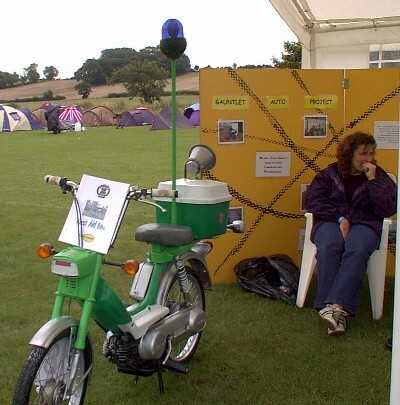 The First Aid Bike is a converted Honda Camino. Designed as a scaled down version of the paramedic response bikes, this vehicle is equipped with the essential flashing blue light, fully operational siren system, 4 way hazard flashers and pedals in case you run out of petrol! This very well presented vehicle has the capacity to carry two first aid kits and a neck support collar in the top box.